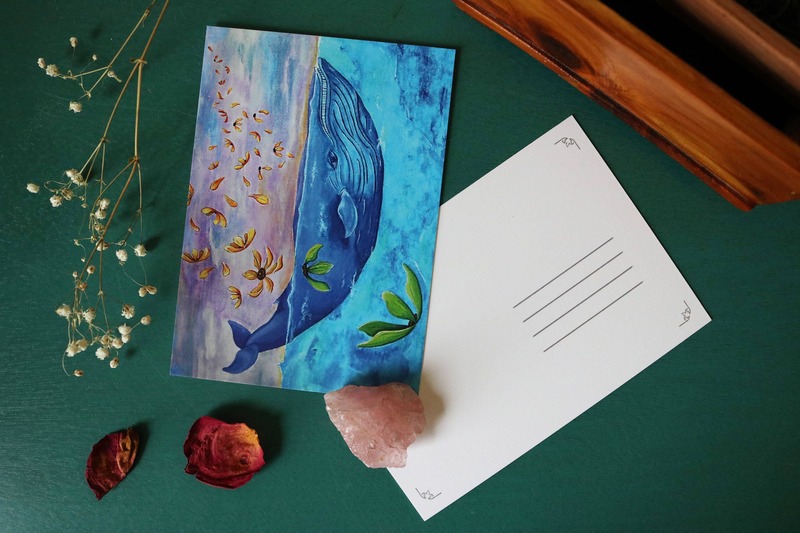 Postcard print of Flowery Whale painting, printed on acid free, quality stock. Gave this to my mom for Mother's Day. She loved it!!! !